These sleeping kitty-cat necklaces are the creation of Jenny Bird. The way the angular cats hang through the hoop that would traditionally hold a pendant in place is inspired! 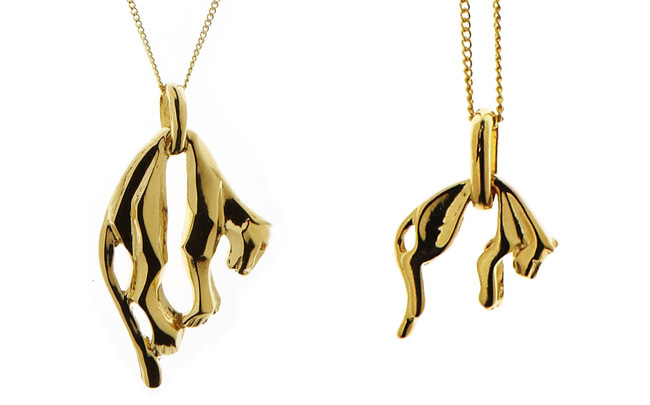 The perfect necklace for lovers of quirky design, angular pendants, cats and indeed catnaps! Available in small (above, right: £42) and large (left: £57).